You are currently browsing the tag archive for the ‘Pimm’s’ tag. My friend Pilar is heading to England to participate in Attingham, a summer residency focused on historic houses and decorative arts. This program is a pretty big deal, so we gathered to celebrate her achievement and to give her a proper send off—with Pimm’s Cups, of course. The Pimm’s Cup is to Wimbledon as the Mint Julep is to the Kentucky Derby. Light and refreshing, it is a good warm weather drink and with a relatively low proof it allows tennis spectators to maintain the appropriate decorum needed at Wimbledon. The drink is a combination of Pimm’s and lemonade with a splash of club soda. 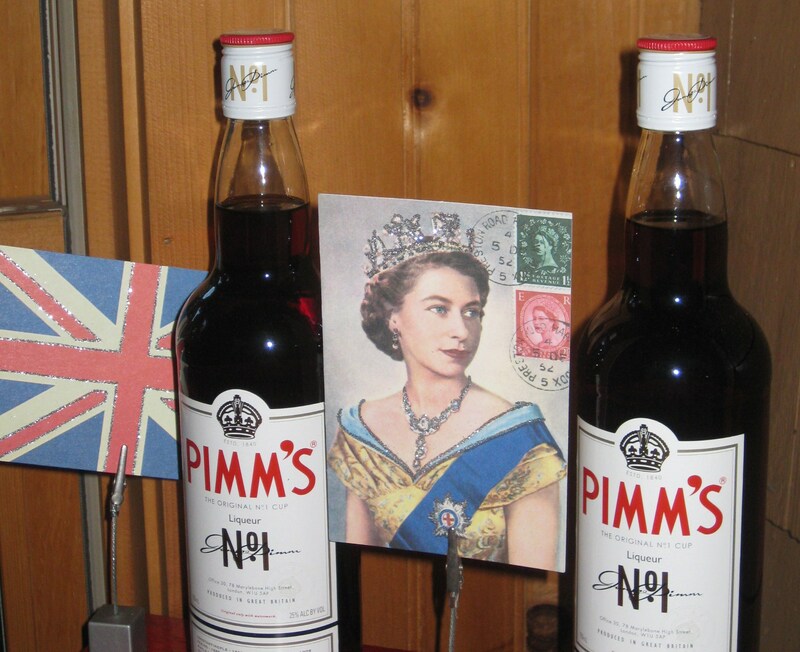 Pimm’s, a gin-based aperitif with quinine and a mix of herbs, was invented in the mid-19th century by James Pimms who ran an oyster bar in the banking center of London. The drink can be garnished with cucumber, mint, strawberry, apple or the traditional sprig of borage. I had never had a Pimm’s Cup before, but really enjoyed it and will add it to my summer repertoire. Congratulations to my friend Pilar and thank you to the Brits for inventing a delicious summer cocktail. Cheers!